In a previous incarnation I worked in the IT department of WordPerfect Corporation before it merged with Novell. Part of my responsibilities there included evaluating all of the new hardware and software products that were coming out to see if we wanted to include them on our list of approved corporate standards. Hardware and software companies would often send us samples of their products in hopes of getting their products on the standards list. After taking a good look at the products and testing them in our lab for a few days, we would often write up a product evaluation for the vendor. This evaluation would explain what we liked and/or didn’t like about the product along with a recommendation on whether it should be added to the corporate standards list. When the merger of WordPerfect and Novell was announced in early 1994, I was in the process writing a less-than-positive review of Novell DOS 7. This obviously put me in a rather awkward position. How does one go about writing an unflattering evaluation/review of a product from a company that would soon hold your destiny in its hands? I turned the document over to my superiors so that they could make a decision on the product one way or the other and thought no more about it. The document surfaced briefly after the WordPerfect/Novell merger when it made its way into the hands of the Novell DOS 7 marketing manager. He was not pleased. But shortly thereafter Novell stopped development on the product and eventually sold it to Caldera. As part of the litigation Novell had been required to turn over all documents pertaining to Novell DOS 7 and somewhere in the chaos Microsoft had found my evaluation. Now they wanted to use it to prove that DR-DOS/Novell DOS 7/Caldera DOS had failed in the marketplace, not because of any anticompetitive behavior on its part, but because it was a lousy product. After all, here was a “Novell employee” who said so! 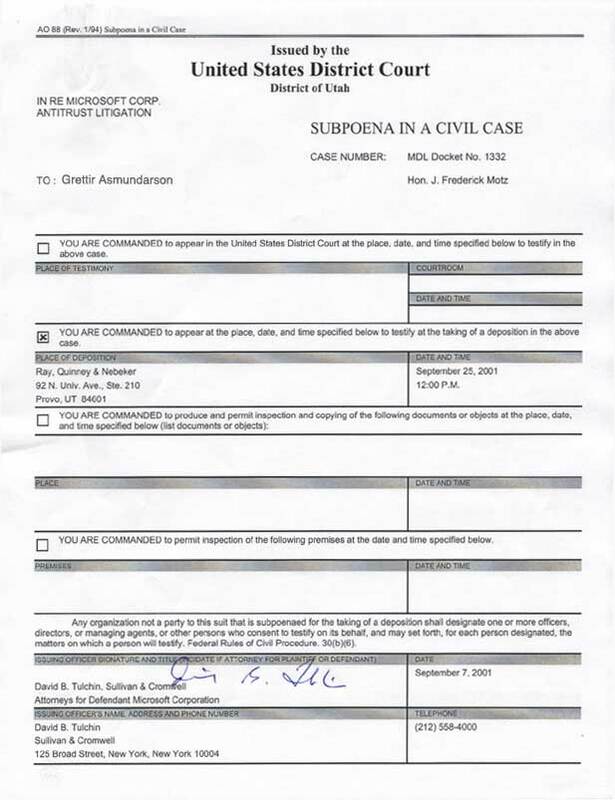 …and had the pleasure of going through the whole deposition process only to have the case settled a week before I was going to have to testify. 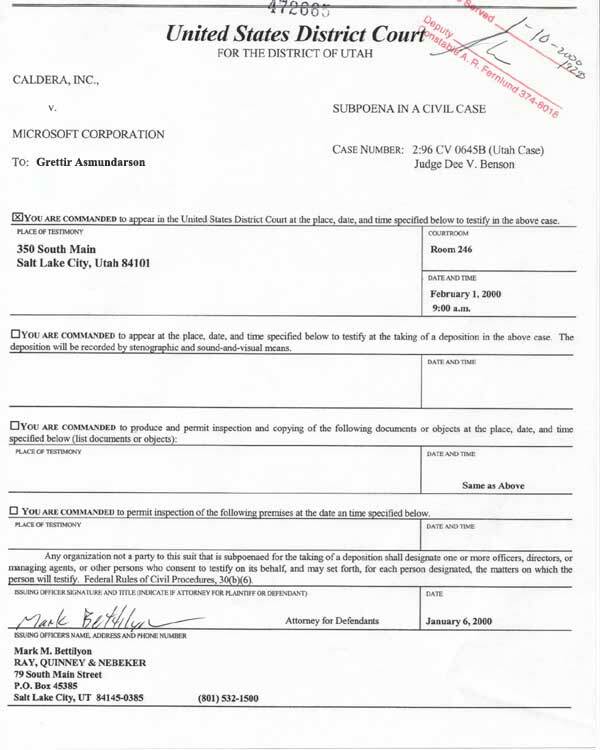 But fast-forward to 2001 when I received another call from lawyers representing Microsoft. Another day, another lawsuit, another chance to be dragged back into court as an instrument of the evil empire.